What exactly is Hybrid IT? How is it different from normal IT services? How can it better your business? There are so many questions that come up regarding this form of IT. Keep reading to learn the answers to these questions and more. The word "hybrid" doesn’t always come with a positive feeling. For many people, the simple idea of hybrid can cause some nerves. Since a hybrid strategy is key to competing in this modern digital economy, anything that could risk it is worth learning. First off what is Hybrid IT? It’s an approach to enterprise computing where an organization provides and manages some IT resources in-house and also uses cloud-based services for others. This approach allows an enterprise to maintain a compact tactic to IT governance, while experimenting with cloud computing. In simple terms: it’s a blend of cloud-based and on-premises IT services. Think about all of the cloud services your company uses – Dropbox, Salesforce, etc. Many of these services used to be provided with your on-site IT, but now are outsourced to cloud providers. Hybrid IT is the new normal as cloud services have gained credibility to support digital business initiatives and replace traditional IT services. How Is It Different from Normal IT Services? Through On-Site IT, your infrastructure and applications are stored in a data centre at your office. While Hosted-IT is where your infrastructure and applications are hosted at a provider’s data centre. Hybrid IT combines both On-site and Hosted IT. How Can Hybrid IT Better Your Business? 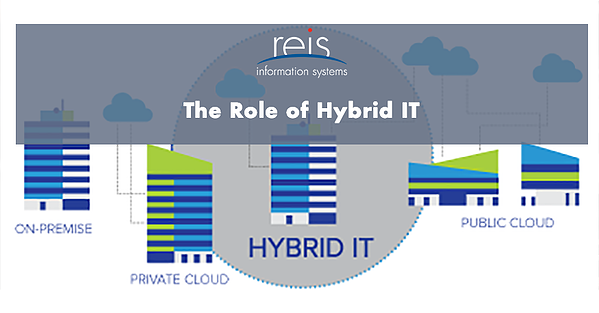 There are 3 forces that drive the adoption of hybrid IT. 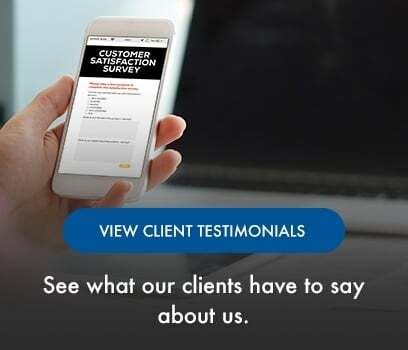 These include: a company’s need to maintain control of data, the cost effectiveness of cloud components (ex, Software-as-a-Service (SaaS), Storage-as-a-Service), and desire for an IT department to respond quickly to shifting business needs. Businesses can ultimately save money and minimize risk with being able to see insight into IT operations by keeping tabs on metrics and overall cloud performance. With Hybrid IT a task that typically takes hours with traditional IT solutions can be completed within minutes. By 2020, 90% of organizations will adopt Hybrid Infrastructure management (Gartner, 2017). The term Hybrid IT is often used mutually with the term Hybrid Cloud. But Hybrid Cloud can also refer to cloud architecture where a vendor who has a private cloud builds a partnership with a cloud provider – or a cloud provider builds a partnership with a vendor that provides private cloud platforms. Hybrid Cloud can enable cloud bursts; where portable applications and workloads can scale up and move fast between different locations and environments. Hybrid Cloud is also about business. It’s a logical ecosystem that can support innovation and expansion that preserves the stability and efficiency of core functions. Hybrid Cloud is the preferred IT environment to support emerging Internet of Things (IoT) ecosystems. We hope that this post has been able to help you understand more about Hybrid IT. If you have any questions or comments about Hybrid IT, comment below!